One of the best ways for people to make large payments is through checking accounts. This makes personal and business transactions so much easier because the ability to exchange money is possible even without cash on hand. Checking accounts are very useful to individuals who often need to transact in big amounts which is why it is vital to get a good checking account from a stable bank and with extra features. First Interstate Bank is one of the leading financial companies that offers good choices when it comes to checking accounts. 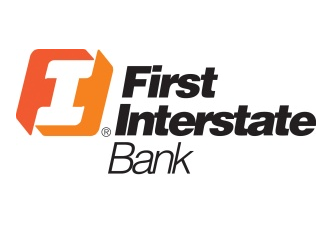 Not all checking accounts from other banks offer interest, however the preferred checking account from First Interstate Bank offers just that. This is highly advantageous because this means your money will continue to grow even if its stored in a checking account. Basically, the account earns interest with a rate which is subject to change whenever the financial market shifts or changes. There will be no service charge when the client is able to maintain a $1,500 minimum balance in the checking account or will have $5000 or more in total in any First Interstate account whether in checking, money market, CDs, and savings. If the client or account owner will not be able to maintain these balances then he will be liable to pay $13 for the monthly service charge. A free VISA check card is also given to the account owner. Plus there will be no charges to ATM use as well as telephone banking. Online banking and bills payment is also available to account holders. Electronic statements and free checks will also be given regularly. For those who prefer different check styles, a $5 discount will be available. Interested individuals can apply at any First Interstate Bank branch. If you want the lowest minimum balance in terms of checking accounts, then you can definitely have it today. Minimal maintaining balances allows you to use every penny in your account without having to worry about incurring penalties or fees. People have really become aware how convenient checking accounts can be especially when it comes to making large payments. Checking account transactions are actually safer and more functional especially when the maintaining balance is just a dollar. Who would not find this interesting right? One bank that offers this kind of promotion is Kaiser Federal Bank. 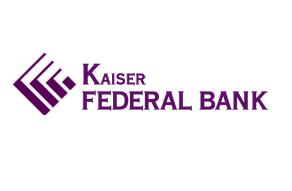 Kaiser Federal Bank is one of the most trusted banks in the United States. There are many people and families who trust their savings and their checking accounts in this bank because they know that the bank is FDIC insured. All rates such as interest rates, annual percentage rates and yields are very competitive which will make it easier for people to decide whether they will open accounts or not. And one account that they really like to have in this bank is the different checking accounts such as the standard checking account, choice checking account, and relationship checking account. One of the common choices for many is the relationship checking account. Right now, they have the promotion that allows people or account owners to only have a minimum balance of one dollar. What are its other features? One highlight about this checking account is the refund of the 4 non-Kaiser Federal Bank ATM withdrawal fees and that the account actually earns interest to about 0.10% with an APY of all 0.10%. This is highly advantageous considering other checking accounts dont offer interest. This allows investors to make the most of their money even when its not in a CD or savings account. All the standard checks are included and there are unlimited cashier’s checks and wire transfers. For those who want to avail of this checking account promotion then they should apply for it right now. What people can do is apply and open it through online processing which will make easier for them. In this way, they can have their checking account immediately and use it in no time. Many people prefer using checking accounts over other forms of payment. Checking accounts allow payments in large amounts without having to shell out cold hard cash. People especially those who are earning would always want to keep their money safe and secure. Most of them feel that they can do this through this kind of account and this is the reason why many banks and other financial institutions offer a lot of checking account promotions. With so many banks around, it’s hard to find which checking account is best. Usually, it’s the one with the best features that win out. This is the main reason why Virtual Bank offered their unlimited check writing promotion. There are many who would want to get the services of this bank because major transactions are done online which makes it very easy for account holders to do. It is very convenient for them to access their checking accounts because they can simply do it on the internet. People should not worry because it is actually very safe and secured. Those who will open new checking accounts with an amount of under $2,500 will have an interest rate and an APY of 0.25%. 0.30% for both APY and interest rate is for amounts up to $9,999.99. For amounts of $10,000 to $24,999.99 will have an interest rate and an annual percentage yield of 0.35% and so on. All accounts are FDIC insured and that the minimum deposit for opening one is just $500. The interest account holders will earn is through collected balance with a VISA or ATM check card provided. And the most important feature why many are grabbing this checking account promotion is the unlimited check writing which many will for sure take advantage of. 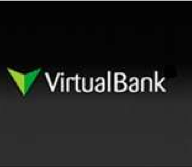 For those who want a new checking account, it wouldn’t hurt to check out what Virtual Bank has to offer. Students today are on the hunt for the best checking accounts that they can use for their everyday student life. With projects and daily living expenses to attend to, checking accounts are a necessity. With this being a part of everyday life, it’s only logical to find a financial institution which can best cater to their needs. One of these banks is Wells Fargo. 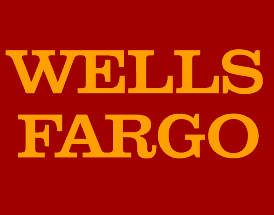 Wells Fargo is a famous corporate bank in America that has been serving many people and families. They have quality services that cater to the needs of Americans. This is indeed the company to go to and since they are one of the leading banks in the United States. In terms of checking accounts, they currently have a promotions which students can take advantage of. This promotions is called the College Combo checking account. The college combo checking account is open to college students aged 24 years old and younger. Just as long as they are in college, they can avail of this Wells Fargo promotion. To those who want to open one, it is very quick, easy, and secured. Students can even open their new accounts online and access their accounts through their mobile phone. The minimum amount to open the combo is $125 only. The $100 is for the checking account while the $25 is for the savings account. This is how easy and affordable it is to open a checking account. The college combo includes the Wells Fargo checking account, the way2save savings account, a platinum debit card, free account alerts and free online bills payment. Finding a checking account promotion is quite difficult nowadays so instead of looking for a promotion that offers either cash or other incentives, customers may opt to look at other kinds of offers instead. 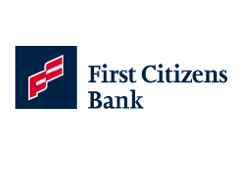 For those looking for an interesting perk, you may want to check First Citizens Bank. What they’re offering now is the free checking with a one dollar initial deposit checking account promotion. Let’s face it, a one dollar deposit is quite affordable. In this case, everybody can open and have their own checking accounts without any hassle. They want to make things faster, easier, and more convenient for their consumers. The other feature of this free checking account includes unlimited check writing, no minimum or maintaining balance for those who will go paperless with their e statements, no monthly fees, free online bill paying and banking, and the visa debit card is also for free. And with just one dollar to open, who would want to say no? Those who want to open this free checking account can either do it online or they can visit a local branch. Those who will be having this kind of checking account will really have a safe place to save and keep their money especially when they will buy and make purchases or even when they will pay their bills. Having checking accounts is also very helpful especially to those who do not want to bring with them cash. For those who are interested, they can check this out at the website of First Citizens Bank which will then help them in deciding whether they want this special kind of checking account or not. Checking account promotions are often provided by many financial institutions such as banks and credit unions because they know these will attract people’s attention. There are many people who will get interested with opening their own checking account especially when they know they will be able to get something extra from it. One of the institutions that is offering such is the NuVision Federal Credit Union. What’s their offer? You get an instant $150 bonus just by opening an account and complying with the simple requirements. NuVision Federal Credit Union is one of the leading credit institutions in Southern California. They have estimated assets of more than $1.2 billion. This credit union aims to provide convenience for it clients in terms of easier banking. They offer banking services whether on phone, mobile or electronic channels, and of course with their branches. Those who will be making transactions will just have to choose among these services in order for them to be able to do what they want to. First Step: For the first $50, the customer or client will just have to open a free checking account with a direct deposit of $200 dollars or more within the given period of the first 90 days. When the direct deposit is made, the $50 bonus is deposited in the member’s or client’s account. This bonus will be tied in to the account for 90 days until the other requirements are met. Second Step: The next $50 will be given when the checking account is active for a minimum of 90 days. For it to be active there should be 5 minimum signatures based on the transactions per month for the first three months consecutively. Last $50: And the last $50, the member will have to set up bills payment online. The minimum online transaction is three online bills per month. And this should be done for the first three months after opening the checking account. What else is better than getting free money? Simply by opening a checking account with NuVision, it’s as if you’re getting an instant $150. Checking account promotions are abundant these days and it’s obviously popular among all of us. And why not? Getting free money just by opening a new account is a thing of joy. 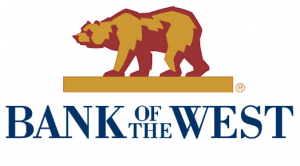 However, the latest promotion from Bank of the West allows its customers to do something so much more for the greater community. If you’re looking for a checking promotion with a heart for service, this is the perfect fit for you. Once you open a new personal checking account, Bank of the West will donate $25 to a local pre-assigned school. This money will be used for the purchase of important school supplies. The designations for the chosen schools are pre-determined by the Bank, but you can view which schools they are helping through website access. Certainly, this is a great way to extend help in your local community. •	By making a direct deposit from Social Security, payroll, government benefits, or pension, you can enjoy a $50 reward. This deposit must amount to a single transaction of $250. Two or more direct deposits that will add up to this amount does not qualify. This must be done before June 29, 2012. •	The cardholder must use, receive, or make a new debit card from Bank of the West with at least ten point of sales purchases. When done, a reward of $25 will be posted to the checking account. Again, the transaction must be done before June 29, 2012. •	Enrollment in online banking and paperless statements must be made and maintained. For this alone, a bonus of $25 will be waiting for the cardholder. •	Another $25 worth of rewards will be given if net purchases of at least $25 is made. This does not include interest charges, convenience checks, cash advances, balance transfers, and any fees posted to this new account. The new account must be opened only within the time period of March 17, 2012 up to April 27, 2012. Once you have qualified for any or all of the services as stated above, the total cash rewards incurred will be posted to your account by July 31, 2012. In totality, the cash bonus can amount to $125. To open a checking account, you can decide between their Easy checking and Choice Interest checking. Application is hassle-free as it can be done online. Take advantage of this amazing checking account promotion and get a chance to help out for the greater good of the community. Ever Bank is currently offering a $60 bonus for customers who will open a Yield Pledge Checking Account. That is the same amount that Bank of America will be charging their consumers for a year of debit card use. To encourage other depositors to switch, Ever Bank is still charging no fees on debit card usage, and is even giving a cash bonus. Basing on the features above, this checking account is certainly competitive. What’s nice about it is that there are no fees to debit card usage, as well as ATM use. Also, there is no minimum balance required for your money to keep on earning interest. Aside from the regular features, EverBank also offers a $50 satisfaction guarantee, meaning if you’re unsatisfied with the Yield Pledge Checking Account for three months of use, the bank will send you over a $50 reimbursement as a way of valuing your try with them. 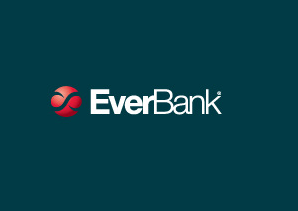 Ever Bank is currently offering a 0.61% APY on their checking account, as compared to 0.20% from ING Direct, 0.10% from Bank of America, and 0.05% from Wells Fargo. Although this rate isn’t the highest available for checking accounts, it still manages to go beyond other large financial institutions. Since the offer is good until November 30, there’s still time for you to decide whether or not to switch to Ever Bank’s checking. With a bonus of $60, and a promise of free debit card usage, would you consider switching? Don’t have a checking account yet? You’re just in time to open one! Get a checking account with Flushing Bank, and they’ll give you a free high definition flip and slide video camera from Cisco. To avail of the video promotion, customers must open a BestRate Checking account with Flushing Bank. This checking account gives you a 1.30% APY for the first 90 days after account opening. After that, standard rates will apply. Aside from acquiring a cool video camera, you will also be eligible for getting up to $100 from using your debit card, online bill pay, or direct deposit. Now here’s the fine print. Only those who don’t already have a checking account with Flushing Bank are eligible for this promotion. Plus, the money you deposit in the checking account must be “new” money, or money that hasn’t been transferred from any other existing account in Flushing Bank. Although the minimum deposit required to open a new checking account is only $100, the maintaining balance for the checking account should be at least $5,000 to avoid fees. And only those with an opening balance of $25,000 will receive a 16G Flip Video Slide HD at account opening. Aside from these requirements, the account must remain open and in good standing for six months. Even with all the fine print, if you’ve got what it takes to open an account, the promotion remains good. After all, who wouldn’t want to have a free flip video slide camera? It’s handy, it’s cool, and with this deal, you can capture both a good interest rate, plus your most cherished memories. Flushing Bank has several locations in New York.